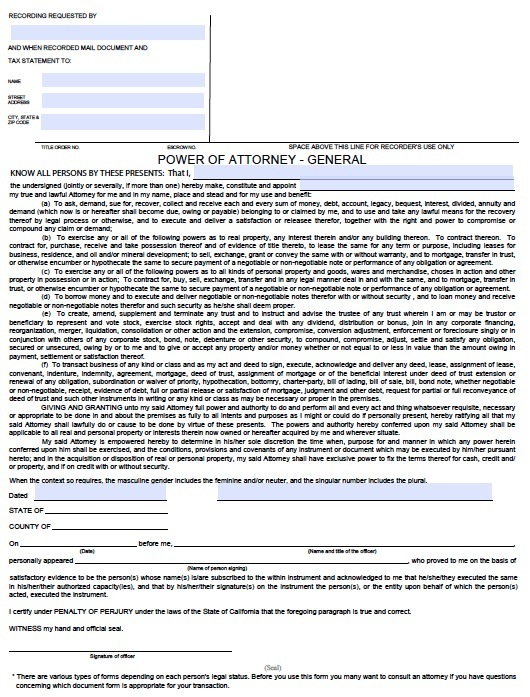 General power of attorney refers to an agent that can be selected to make any type of financial decision on behalf of a principal but unlike the durable version it does not stay valid if the principal should become incapacitated. Otherwise the form is just like the durable in every way and allows the unlimited right for an agent to act for monetary related activities. In order to complete the document must be completed with all person’s present and in the presence of a notary public.